08.07.20 WCC, originally uploaded by datadub. 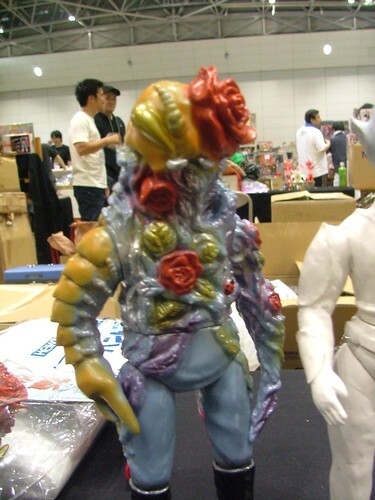 This new Rose Monster is from Yamomark. Kaiju? Kaijin? Seijin??? any way its a nice old school stylee standard sized figure. WCC - Day2, originally uploaded by datadub. These are 2 amazing little figures and the kind of toys that my geek squeak. 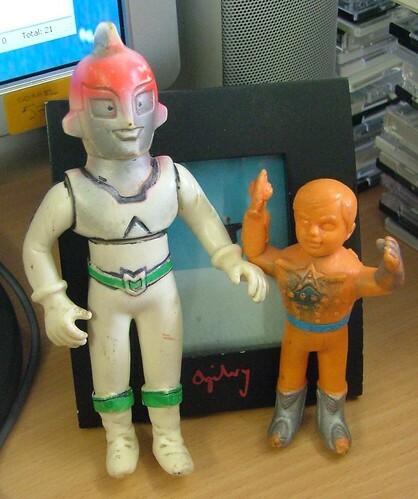 The figure on the left is a bootleg mini of an obscure 70's hero called HUMAN. Whoever owned this puppy took a pen to it and blacked up the lines and even drew in some eyes - but it was done in such a way that it for me just adds to the figures charm. 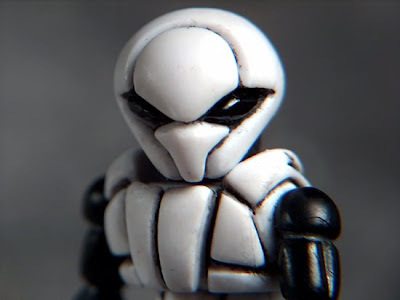 Another interesting aspect of the figure is the way the split between the top and bottom halves is at the chest plate rather than at the waist which is the norm. 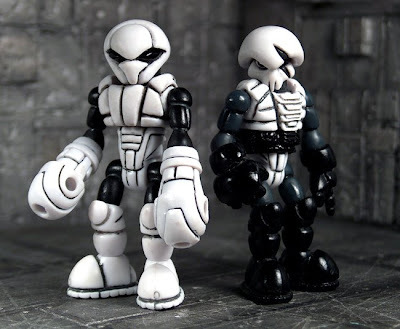 The figure on the right is from the legendary astro mu series. A classic flying pose mini and the form factor is the base that charactics used for their recent Walder minis. CLASSIC! 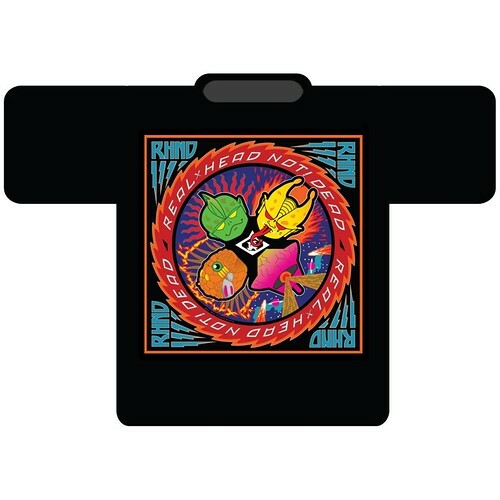 080705-RxH-t-shirt, originally uploaded by datadub. 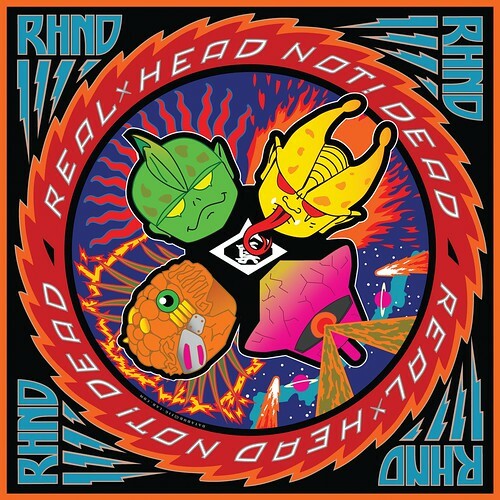 The RHND T-shirts will be dropping in store at Toy Tokyo NYC on July 19. 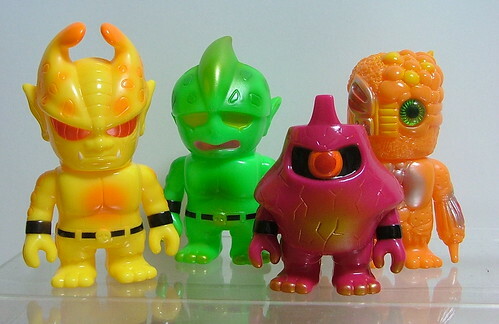 Any remainders should be available at Toy Tokyo booth at SDCC. Making quite a few, so there should be plenty to go around. Oh one last thing, I should mention that the shirt is going to be part of a set. Kaiju - New Wibbly Octoarm, originally uploaded by mynameisdelme. I AM more KAIJU than YOU! Custom Rocket Borg - Front and Back, originally uploaded by gatchabert. 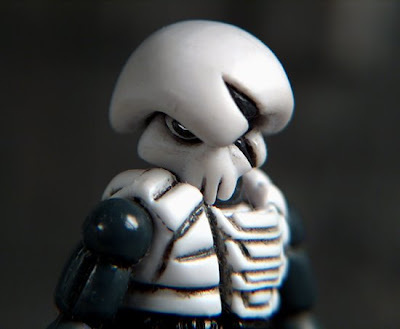 I couldn't help posting this custom Hone Borg from Gatchabert. RHND-Tshirt_v2, originally uploaded by datadub. You wanted the best.. you got BETTER. In co-operation with the good folks at Toy Tokyo the RHND T-shirt is poised for a long-awaited US invasion. More details as they develop!